On the week of March 21, 2012, we enjoyed some both a simple and a nice wine. The first one was a simple wine from the Ha Sod label. The story behind Ha Sod, is a story of economics in the kosher wine world. There are many wonderful wines in the expensive price class ($30 and higher), and some decent wines in the middle price class ($10 to $30). The real problem has been finding good kosher wines in the cheap wine class. To meet those needs Welner Wines has really come on strong to own this zip code. However, since then, Herzog Cellars and the Yarden Winery have both moved down into this price range with their own labels and wines. 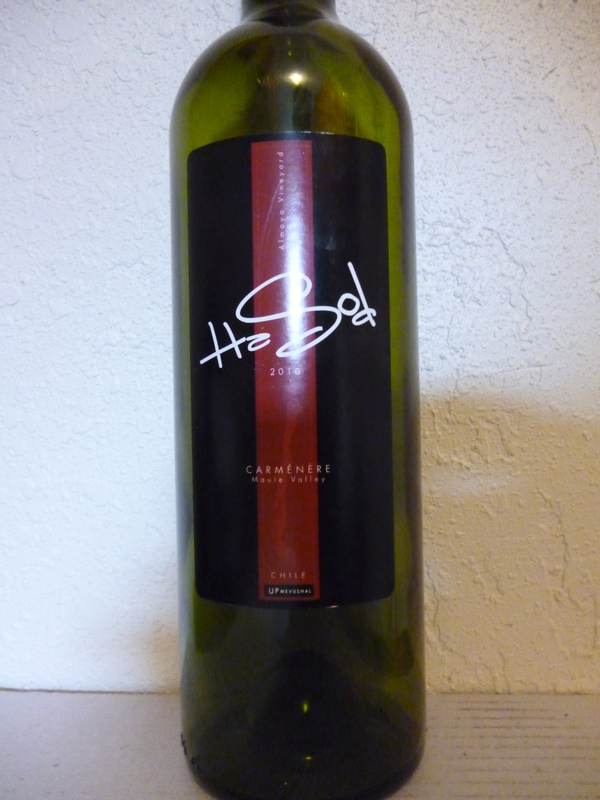 Yarden released the Ha Sod label in 2009 with both a Carmenere and Cabernet Sauvignon. We liked the 2009 Ha Sod Cabernet but were not as enthralled with this Carmenere. According to Wikipedia, Carmenere is a member of the Cabernet family of grapes, the name “Carménère” originates from the French word for crimson (carmine), which refers to the brilliant crimson color of the autumn foliage prior to leaf-fall. It was considered part of the original six red grapes of Bordeaux, France, but since then it is almost impossible to find in Bordeaux. However, the grape did not disappear, as Chile is now the world’s leading grower of this grape. The grape adds deep color but it lacks deep flavor and concentration. 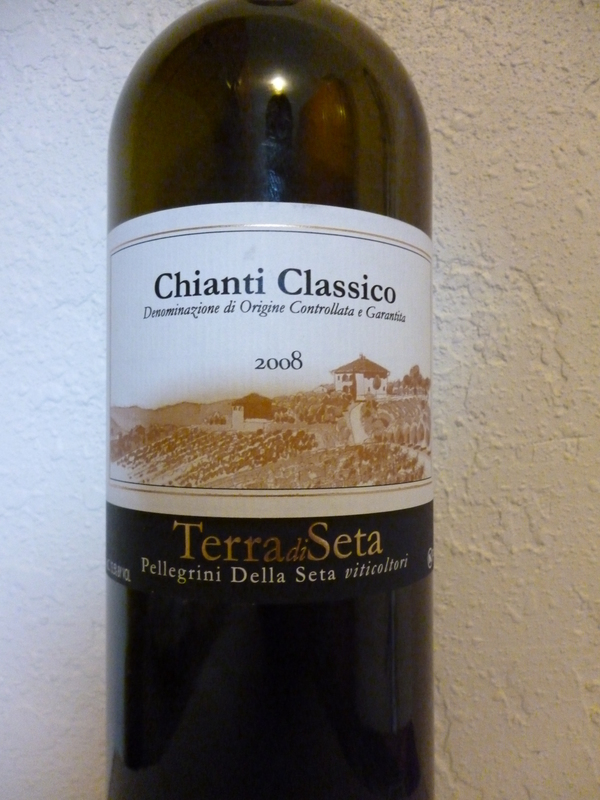 The Terra di Seta was very nice, and just as enjoyable as the last two times we had it. The Chianti started off closed, but over time it opened to a lovely and enjoyable Chianti, and stays one of the best Kosher Chianti wines out there. Also, Terra di Seta is the ONLY completely kosher winery in Tuscany. This is a new vantage for the HaSod label, which is a wine made in Chile by the Yarden Wine Company. They started this in 2009 because they needed a wine that could compete in the higher quality low priced wine market. Carmenere is a grape that does not make wine that is rich, deep, or powerful, however it makes for perfectly fine average and above average wine. The wine starts off with raspberry, plum, cranberry, and a distinct floral attack. The mouth is soft and medium in body with sour cherry, blackcurrant, integrated tannin, and a round mouth that makes for a very food friendly wine. The finish is long and spicy with nice herb, earth notes, black pepper, and vanilla. The wine starts off very closed and one that needs an hour or two to open up. Once open the wine hits you with powerful and expressive roasted espresso, along with rich burnt oak, nice extraction, cherry, raspberry, and currant. The wine is throwing sediment so be careful when you pour the wine. The mouth is medium to full bodied with nice blackberry from a blending of 5% of Cabernet Sauvignon, mouth coating tannin, and toasty oak that makes for a fuller mouth. The finish is long and spicy with vanilla, herb, heavy spice, and lovely floral attack. Posted on April 26, 2012, in Food and drink, Kosher Red Wine and tagged Carmenere, Chianti Classico, HaSod, Terra di Seta. Bookmark the permalink. Leave a comment.